There’s two things that always grab my attention on a beer label: “pumpkin” and “oak”. I’ve always been a sucker for pumpkin beers and over the past couple years barrel aging has been creating some intriguing flavor profiles in the beer world. OAK JACKED IMPERIAL PUMPKIN ALE is part of Uinta Brewing’s “Crooked Series”; a series of big/imperial ales available in capped and corked bottles. 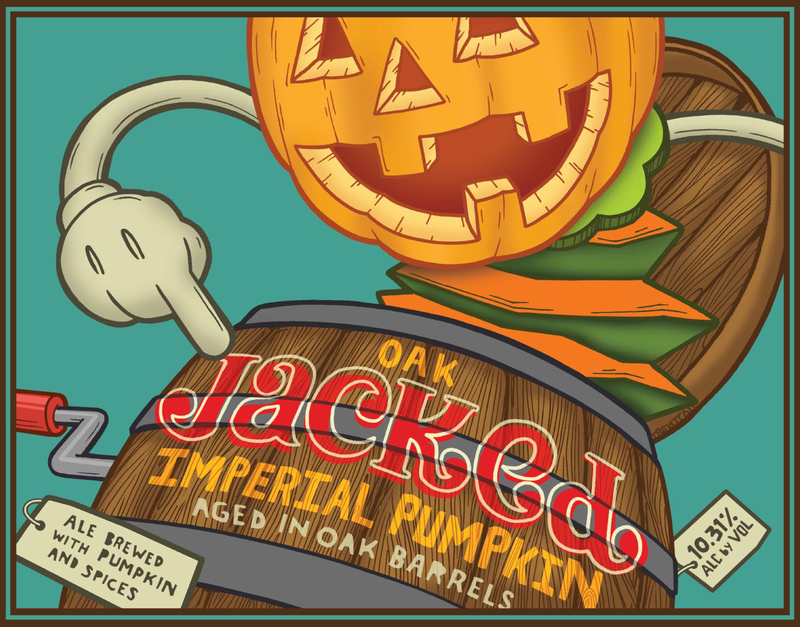 Unlike some of the other beers in this series, Oak Jacked Imperial Pumpkin Ale has seasonal availability.